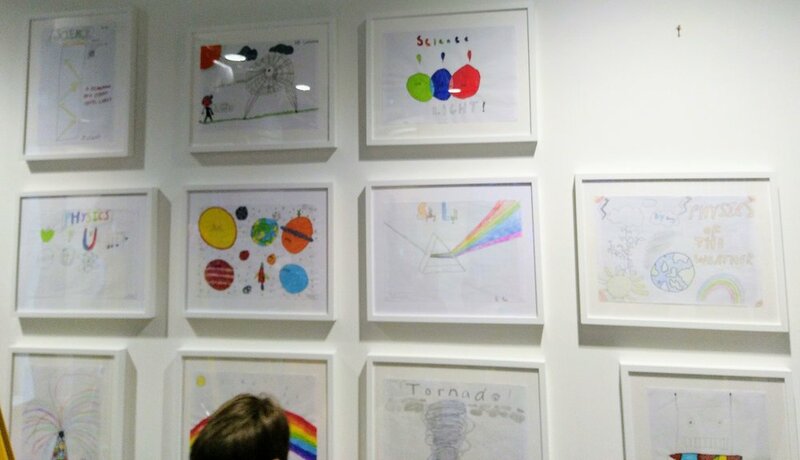 Our big event of the spring term was the Young Scientists’ Conference, which was hosted by our new neighbours the Institute of Physics (IOP) in their brand new building in Islington. Last year we held our conference in Gillespie’s Lab_13, but more schools wanted to take part this year so we had to find a bigger venue! 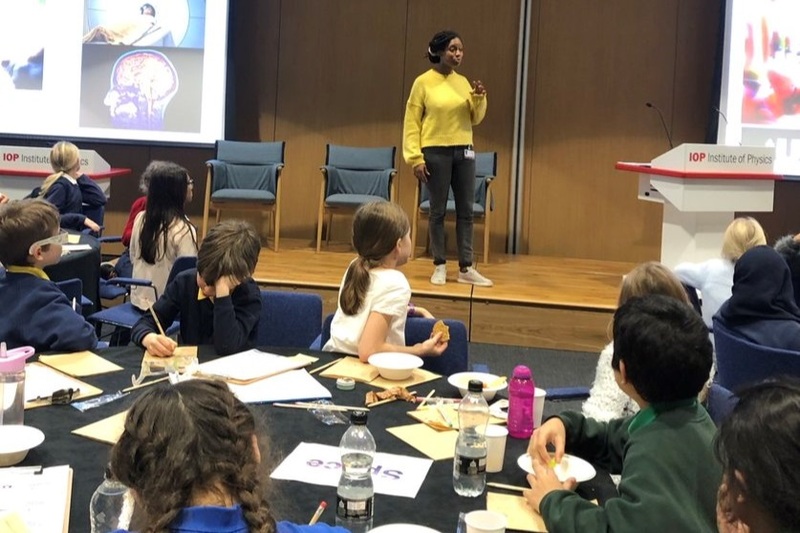 Children from Gillespie, Hanover, Newington Green, New River College PRU (who had their own special schedule) and Thornhill primary schools all took part in a day packed with sharing and learning. 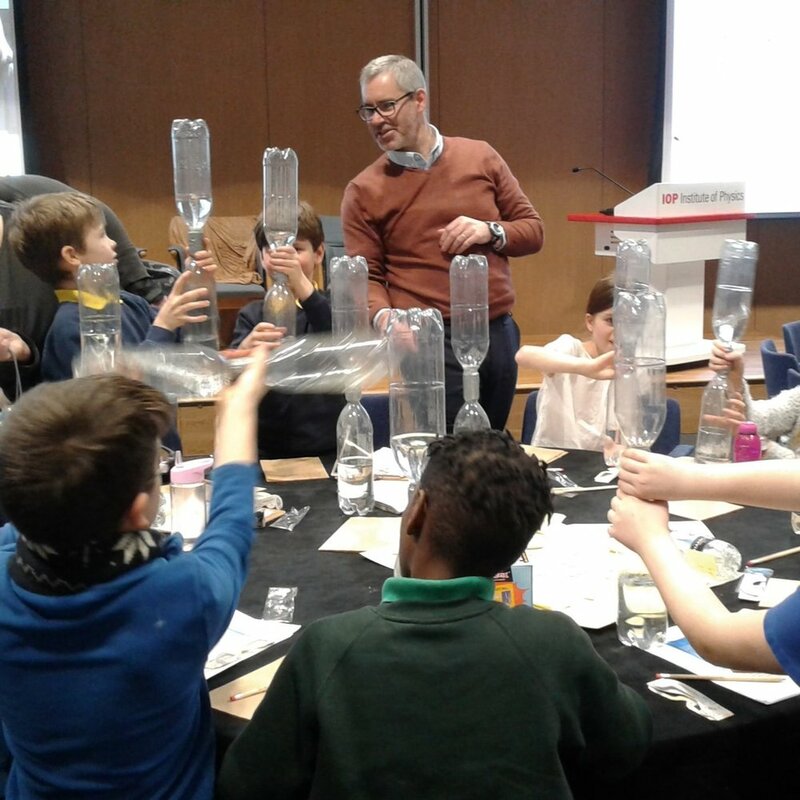 At the start of the day, children from different schools were mixed up on tables and we were all welcomed by Professor Paul Hardaker, who is the CEO of the IOP. Paul explained that his background is in the physics of the weather, and he showed us a special balloon that had been sent up to space! He let us feel it and even break it apart so we could bring samples back to our schools. 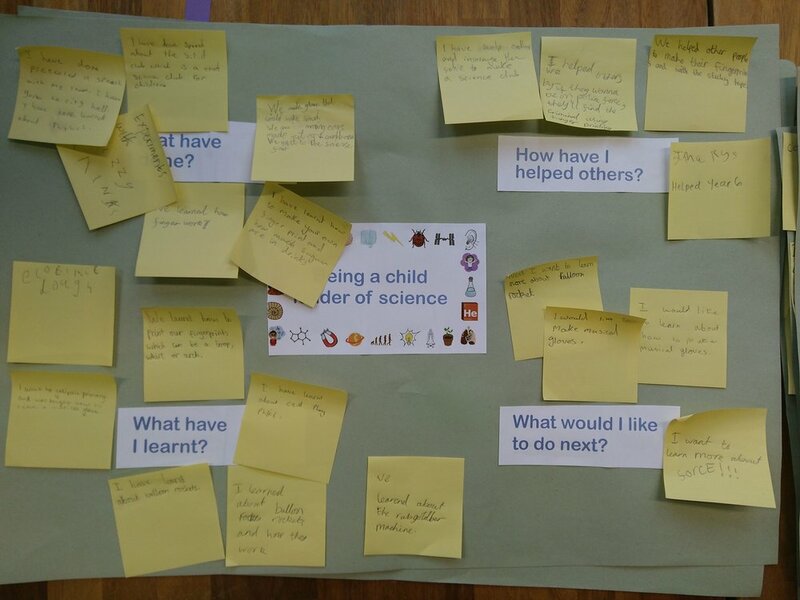 Children then took it in turns to present to each other, sharing the many science experiments, activities, clubs and competitions they had helped with - and in some cases even run themselves (with a bit of help from their teachers…)! Many children felt nervous presenting, but afterwards felt so proud of themselves, and more confident that they could do it again! We were joined by Dr Chris, one of the presenters of the children’s TV show Operation Ouch! He watched all the presentations then got involved with some of the table discussions, before getting up on the stage to tell us a bit about his research, and to also share what he thought of everyone’s presentations. He was incredibly impressed that everyone was so dedicated and interested in science, and had so many questions - because asking questions is at the heart of science. 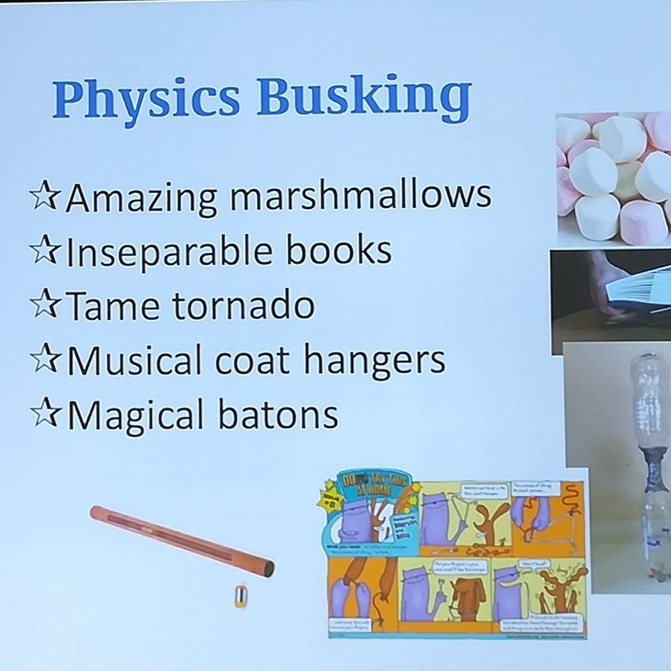 Next we were treated to some fantastic hands-on activities, as five members of staff from the IOP each shared one of their favourite physics busking tricks with the children. We then split into two groups, one of which had a break to eat some healthy snacks, whilst the other group went on a building exploration trail, to discover some of the many fascinating features of the IOP building. The groups then swapped over, before coming back together for the final part of the day. Yolanda, who was one of the STEM Stars at our Winter Physics Fair, came to share a bit about her work at UCL. She develops MRI machines to better understanding how people’s brains work, and how diseases can affect the brain. Yolanda also announced that everyone would receive a certificate and goody bag to take home, full of activities to share with our families, which caused a great deal of excitement!